This weekend the College of Charleston is hosting the Southern Atlantic Coast Section of the American Association of Physics Teachers Conference. Join the Lowcountry Hall of Science and Math aas we explore our changing climate through changes in albedo. 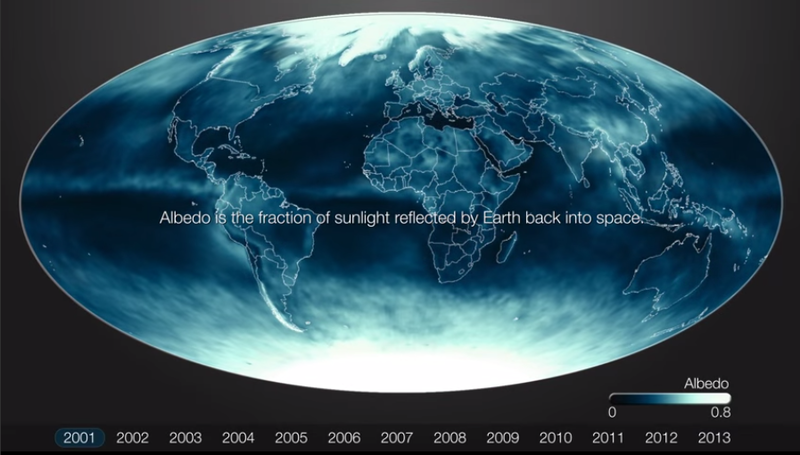 Earth’s albedo has been steadily declining. Why? In this workshop, we will explore what exactly albedo is by gathering data on the reflectivity of light and absorption of radiant energy. Then we will investigate the characteristics of a variety of surfaces and their effect on the way that surface absorbs and releases heat from the sun. Finally, we will explore what activities on Earth are causing changes in albedo and the role that they play in a changing climate. We will take into consideration science and engineering practices, disciplinary core ideas and crosscutting concepts from the new SC Science Standards as we explore this hot topic issue. Hope to see you there. Contact Cynthia Hall (hallcr@cofc.edu) if you have any questions. More information on the workshop can be found at . Come celebrate Earth Science Week and National Chemistry Week, with the Lowcountry Hall of Science and Math and the Departments of Chemistry and Geology, through an interdisciplinary look at our marine environment. 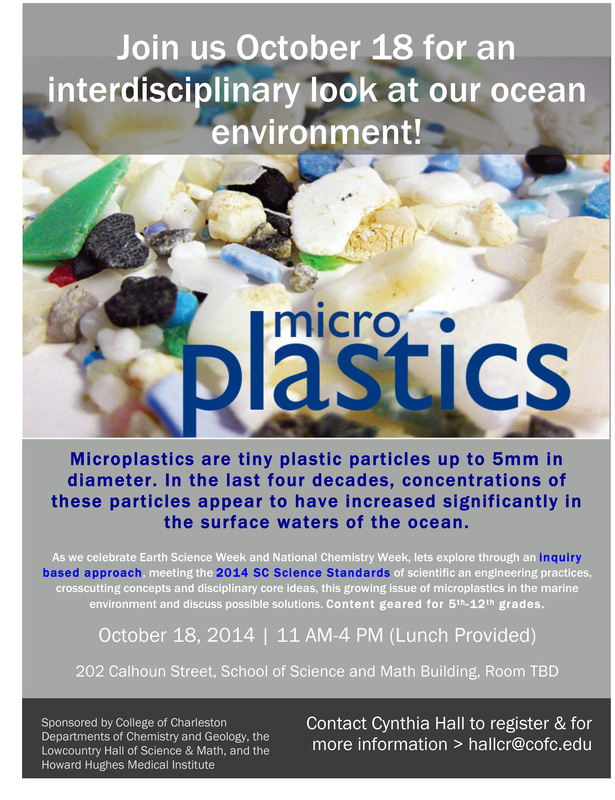 At this Educator Professional Development, we will explore micro plastics, how they got in the marine environment, why they persist there, and the impacts on aquatic life. Hope to see you there. Contact Cynthia Hall (hallcr@cofc.edu) if you have any questions and if you would like to sign up.